Huron County is rich with artists, art culture and art-centric events throughout all of our communities. While Port Austin represents the biggest push and centralized hosting of public art and artists, you don’t have to look very far from any of our communities to find art. We’ve covered before all of the art and placemaking efforts happening in Port Austin, but the art scene has continued to expand throughout the Thumb. A new initiative just getting off the ground this fall is the Harbor Beach Artist in Residence program. This program exists to invite artists to live on-site in Harbor Beach for a period of time while they work to complete an art project. Following their residency, the artist will be required to do a presentation or similar to the community sharing their accomplishments. The art type isn’t limited to specific medium and includes everything from fiber arts to paint to music. Thanks to a grant from Consumers Energy, in addition to the donation of the use of lakefront cabins owned by the City of Harbor Beach, the Artist in Residence program is now accepting applications for art residents late fall, winter, and early next spring. If interested, apply online at thumbartists.com. Recently celebrating their four year anniversary, TurnerArts Studio and Gallery in Pigeon has really set the scene for getting kids involved in the arts. Throughout the summer their Kids Art Camps and Kids Art Club. Teacher, Carrie Ward, developed fun art projects for kids in 1st -12th grades, and classes were only $10. 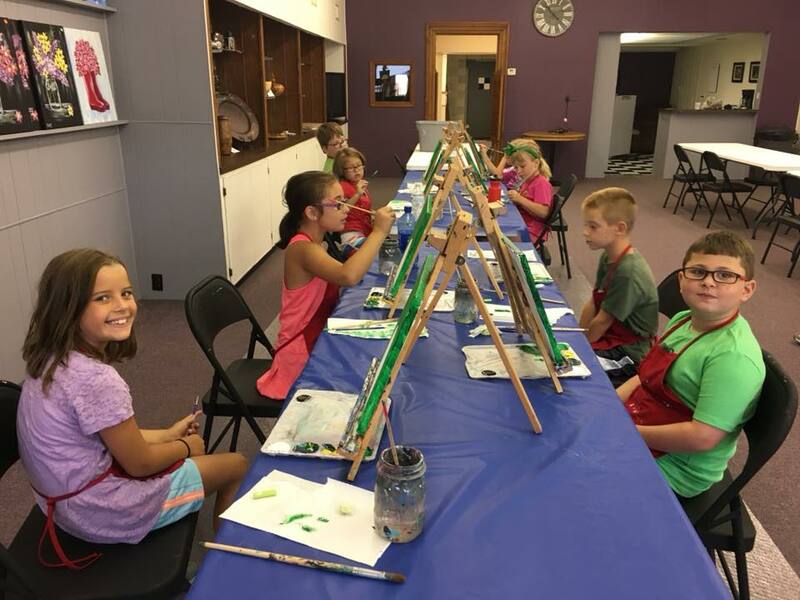 TurnerArts is hosting a Kids Art Camp Exhibition to display the work these budding artists created during camp this summer on Saturday, September 8, from 1-4pm. For more information, visit TurnerArts Studio & Gallery on Facebook. A new event to grace Port Austin this year is the First Fridays Art Walk. The first Friday of every month, businesses throughout town host visiting artists and their work from 5 to 8pm. The events are coined as an “evening of art, shopping, food, drinks, and fun” and are a great way to also visit various businesses throughout town in an evening. The events are free and open to the public, and the last Art Walk of the year is Friday, September 7. One of the original art collectives in the Thumb is the Thumb Arts Guild, established in 2001 as a 501(c)3 non-profit organization. Though their humble beginnings featured 24 original members, they have grown to over 80 members of both artists and supporters of the arts. The mission of the Thumb Arts Guild is “the enrichment of life through active promotion and encouragement of art making and the appreciation of all phases of the arts.” TAG is also responsible for the successful, annual Art in the Park event happening at Gallup Park in Port Austin, September 1 & 2.